iPont Shuffle - Life is Random: Doesn't This Make You Want to be Somewhere Tropical? Doesn't This Make You Want to be Somewhere Tropical? Forget that the actual environment where this picture was taken was nowhere near the tropics. It wasn't even outdoors. 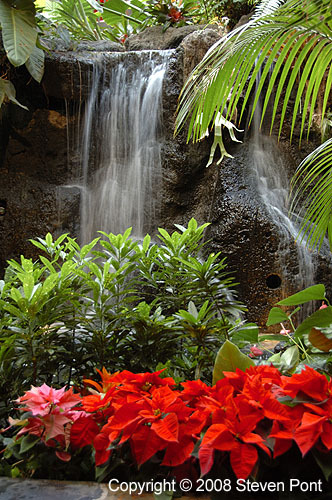 Nevertheless, it still makes me want to get on a plane (as much fun as that can be) and go to a place that has flowers and waterfalls. I'll worry about the authenticity later.